Why should we consider working with Glide-Line? Glide-Line’s tag line is “Easy. Flexible. Precise. Fast.” We want the process to be easy, configured to your needs, with a very high-quality product and to do it in record speed. Our 21st century advanced design and manufacturing process allows us to accomplish this. How long has Glide-Line been around? The first Glide-Line conveyors were shipped in 2011 and we have shipped over 3000 units since. We launched the “brand” in 2013 (website, logo, etc.) and started actively selling and marketing it as its own product line at the same time. Glide-Line is a brand fully owned by NCC Automated Systems, a 30+ year old company. Where do I buy this product? Glide-Line is built as a configured assembly to your specifications. We sell through a network of trained, independent Manufacturer’s Representatives as well as on a direct basis, outside of these territories and for specific key accounts and OEMs. 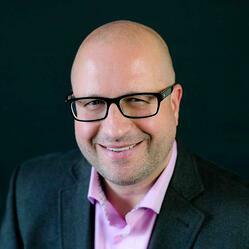 Click on Contact Us to find your sales contact. Can Glide-Line help me reduce overall system cost? Yes. We have taken old technology and brought it into the 21st century. We have developed a number of flexible, creative solutions to maximize line efficiencies. Some examples include slave driven devices, 24vdc drives, and our 360 solutions. With these tools and more, we aim to maximize your layouts, therefore reducing valuable space requirements on the plant floor and generating significant cost savings. In addition, our IMPACT! Solidworks configuration tools produce 100% accurate solid models, autogenerate part numbers and pricing, all in the effort to save you valuable time and money. Finally, shipping configured assemblies, instead of a box of parts, we believe our overall solution provides by far the greatest in the market. We have the fastest lead times in the industry! Glide-Line is a premium product with more features, configurability, and flexibility than any other pallet work piece or panel handling system on the market. However, because we have put so much time into the engineering and fabrication methods, we are able to offer this product at a very competitive price to other major brands. Will our shipment come assembled or do we need to assemble? We are always trying to save our customers time and money and many times this comes as a pleasant surprise. We DO ship all Glide-Line conveyors assembled, not as a box of parts. This is our standard and we take great pride offering this to our customers. To further protect the shipment from damage, we will remove the leg sets and motors and package those items along with the devices on the shipping pallet. Not at all. The Glide-Line platform features complete flexibility and modularity. If you need a configuration that’s not listed, just ask. We are always adding to the product line and are willing to customize whenever we can. Why should I consider timing belt vs. a roller chain based system? They are different animals and normally should not be considered for the same application. A roller chain based system can handle heavier loads and is generally too heavy duty and bulky etc. to be competing in areas where a timing belt system shines. In areas where Glide-Line timing belt systems are a good fit, we will offer a smoother, quieter system that is less costly, safer and significantly easier to maintain. That is a great question and this video link shows why this is one of the design features that makes Glide-Line maintenance friendly. Almost all maintenance can be done from the top of the conveyor. This means that you can loosen a few screws, pull the end caps, bearings, slider bed, and drive assembly straight up. This comes in particularly handy when it is integrated into a machine structure or in tight assembly cells. How long does it take to get a replacement belt? For accuracy and precision, we here at Glide-Line have all of our belts fabricated endless on state of the art automated fabrication equipment. With the customer in mind, we include an extra belt for every different belt length included with the original shipment. Standard deliveries on belts are approximately one week, with expediting available within a few days. Yes. We offer three types of transport belts. The ESD belt is a fabric antistatic nylon coated urethane core for conveyance and accumulation. Our standard green belt is a nylon polyamide fabric coated urethane core for conveyance and accumulation as well. We also offer a solid polyurethane more tacky, non-accumulation belt for cleanroom applications. No, we use a steel reinforced timing belt with adjustable snubber rollers that gives us 192° of timing gear wrap and 22 tooth engagement at all times. Is Glide-Line compatible with other systems? Yes. We offer full, bolt-up compatibility with other systems. We have worked to attain the same beam dimensions and t-slot to top of belt (TOB) dimension. Our devices work with many pallets, and our pallets work with many devices. Please call Glide-Line if you have a specific question regarding compatibility. Are Glide-Line systems cleanroom compatible? Glide-Line conveyors have been approved by an independent lab for use in Class 100 and ISO Class 5 Cleanroom use. This requires a certain configuration and does have limitations so please consult with your sales representative or call for applications engineering support. Certification Certificates can be found under the Certifications tab. What are the weight limits of the Glide-Line system? While there are application factors to consider project to project, each ‘rail’ (strand) of conveyor is designed to be able to convey up to 250 lbs. Thus, if we do a 2-strand conveyor, each conveyor can handle up to 500 lbs. in a transportation mode. Three strands, up to 750 lbs., and so on. Value is less when there is accumulation. What’s the longest length conveyor I can purchase? This will depend on your application. However, we offer up to an approximately 25/ft. long conveyor with a single belt, which would include the appropriate break points for shipping. What type of speeds can I expect from Glide-Line? All speeds are application driven. Typical conveyor speeds we see are usually within the 30 to 70 fpm range. However, our conveyors have the capability of speeds up to 210 fpm. Special precautions would need to be reviewed for higher speeds to ensure stability and to prevent product damage. What motor frame sizes can I use on a Glide-Line conveyor? Flexibility in conveyor design is one of the biggest reasons our integrator customers choose Glide-Line. That goes for use of motors, gearboxes, and controls, as well. We offer a great variety in our gearbox flange options, allowing our customers to utilize a wide range of motor frame sizes. Whether you have a specification from your customer who prefers to standardize motors across their plant, or they’re using other equipment that requires a specific motor brand and frame size, we offer great flexibility in this regard. While any conveyor manufacturer can ship a conveyor less motor and gearbox to allow for flexibility in power transmission, we actually a gearbox with several different flange adapters, allowing for integration of both IEC (metric) and NEMA motor frame sizes. Glide-Line 360 is a unique configuration of standard Glide-Line components able to create interesting solutions to everyday challenges. Essentially, the 360 system utilizes our basic Glide-Line conveyor components to function as a linear actuator that is tightly integrated with our conveyors and devices. A simple example to this is putting a Glide-Line conveyor on a 360 system to allow it to shuttle back and forth between discharge lanes. The 360 can be as simple as manual actuation for simple systems or servo actuated for multi-lane positioning at higher speeds. The solutions are virtually endless for this conveyor-linear actuator solution – and they can be assembled from all standard parts! See Glide-Line 360 for example solutions. Here is an whitepaper on our lead times. What type of devices does Glide-Line offer? We offer a large array of devices to handle your application needs. Pallets start from 160 x 160 and up in 1mm increments, Curves (powered or slave driven), Lift & Locates, Lift & Transfers, Lift & Rotates, Vertical Lifts, Heavy Duty Lift & Locates (capabilities of over 25,000 LB’s and up) Lift Gates, Dampened & Hard Stops and all the appropriate connection brackets and sensor brackets. All our dynamic devices can be modified to fit your application. We even offer a Clear View Lift & Locate that allows you to use vision technology through the center of the lift. What does Glide-line offer in the way of drives? We offer AC drives from ¼ HP through 1HP with the appropriate corresponding gearbox and 24-volt DC drives that can be either direct drive or through a gearbox. 24vdc is great standard conveying for heavy zoning applications and for pharmaceutical clean room applications. Can I run different size pallets on the Glide-Line system? Yes! We have a state of the art, patent pending centerline adjustable system that has almost infinite adjustment. This can be done via manual adjustment with tools, a hand crank system, or even powered automatic adjustment. Can Glide-Line customize pallets to accept my fixtures? Yes, we offer custom machining (per your specifications) for your fixtures or jig. Yes, we use bumpers on the corners of each pallet. These bumpers have some designed internal hollow spots where an RFID tag can be inserted. If you have an RFID-based application, you can purchase unassembled pallets, saving you the time of removing the bumper and reinstalling it. This can also save you money. Yes, our conveyor is a work piece and pallet “and” panel based system. We can fabricate multiple strands of conveyor to handle long or wide panel applications. The widest we currently we have fabricated is a system to handles 30 ft. wide garage door panels. Do I need to download special software to use the configurator? No. The IMPACT! configuration tool is built in a standard Microsoft Excel workbook. It can be used as a stand-alone pricing, application guide and part number generation tool, and provides visual feedback. If you are a SolidWorks user, this same basic Excel workbook drives Solidworks models through an advanced API connection allowing the Excel workbook and Solidworks master assembly to stay in tune with each other. What are the benefits of your SolidWorks configuration system? The Glide-Line in-context solid modeling tools can update designs, part numbers, and prices as you create your conveyor in your model. There’s no need to re-configure, re-download, re-insert, or repair after every change as with most on-line conveyor configurators. Click to read this customer story created by SolidWorks for additional benefits and information. Do I need any particular knowledge to make sure I specify compatible features? No. IMPACT! will recommend the most-applicable options based on your actual system configuration data. Here is a eBook on how to keep your conveyor lead times in check! 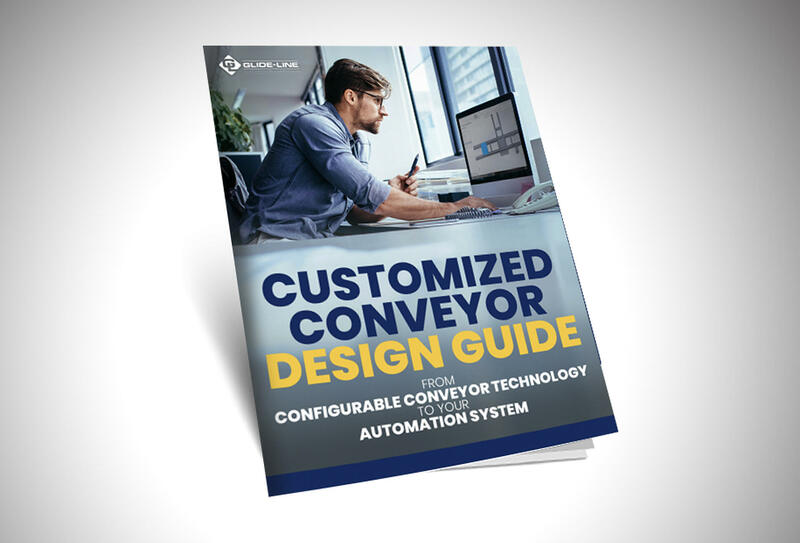 This ebook presents innovative conveyor options capable of meeting or exceeding your expectations of a conveyor alternative or of a traditional conveyor system. 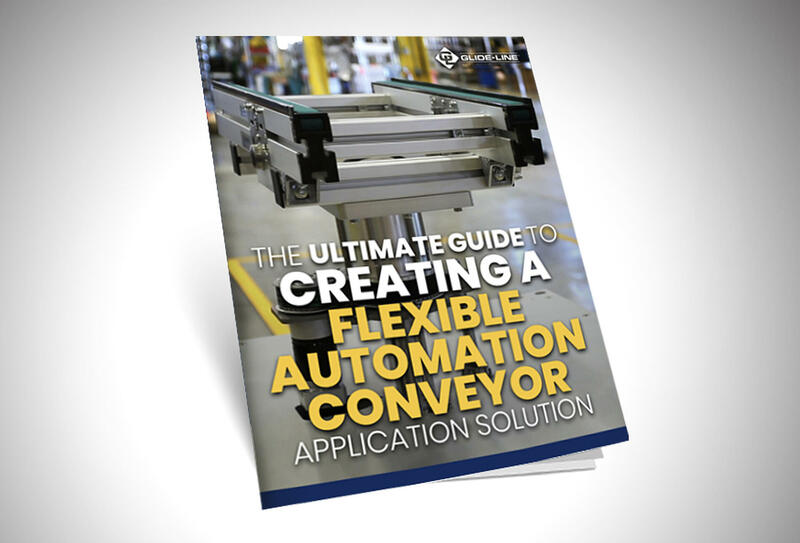 Think outside the traditional belt when it comes to your designs, space, functionality, and capabilities for your automation conveyor application solutions with our ultimate guide. 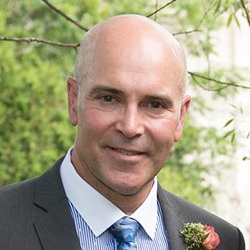 "From the beginning of our most recent project with a Global Appliance manufacturer, our Glide-Line’s Product Specialist was engaged in the design problem solving offering viable options in the customized conveyor & belt material selection to meet the customers applications needs & challenges."